This book addresses the relationship between individual personality, relationships built in the workplace, and organizational culture. 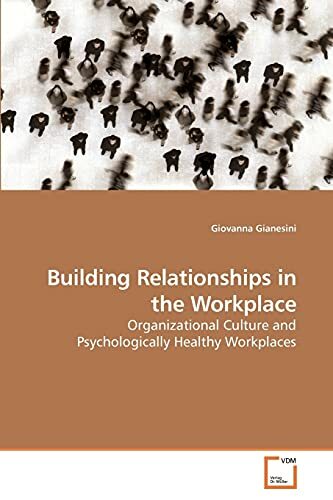 It explores the attempts individuals make to change the culture of their organizations to fit their own personality preferences and the efforts companies can make to facilitate psychologically healthy relationships in the workplace. The relationship between individual personality, relationship dynamics in the workplace, social network, conversation management and organizational culture is analized with the proposition that there are theoretical and empirical reasons to believe that individuals attempt to and sometimes manage to shape the culture of their organizations to fit their personal preferences. Organizational change often fails because of lack of understanding about the strong role culture plays in organizations. That's one of the reasons that many strategic planners now place as much emphasis on identifying strategic values as they do on mission and vision. Ph.D. candidate. She holds a MA in Counseling Psychology, Human Resources Management, and Applied Sociology. BS in Psychology from UCF (USA). She has been working for the past 10 years as Human Resources Consultant supporting positive changes in organizations and creating healthy relationships in the workplace.